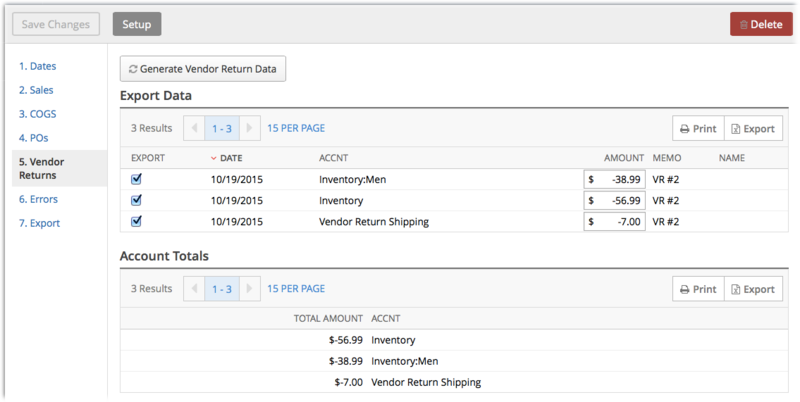 For accurate cost accounting, you can export your return to vendor data to QuickBooks Desktop using Lightspeed Retail's QuickBooks integration. The data that's exported includes the cost of each item that was returned to a vendor, as well as any shipping and other costs in Return to Vendor orders. Set up the integration with QuickBooks Desktop. Export your return to vendor data. From General Options, select Export Vendor Returns. 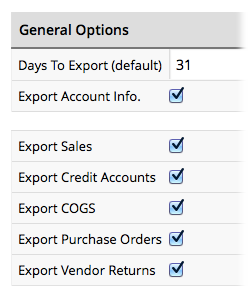 From Purchase Orders & Vendor Returns, set the report to export when the status of the Return to Vendor order is either open or closed, and the QuickBook Account Types for the Shipping and Other costs in your orders. 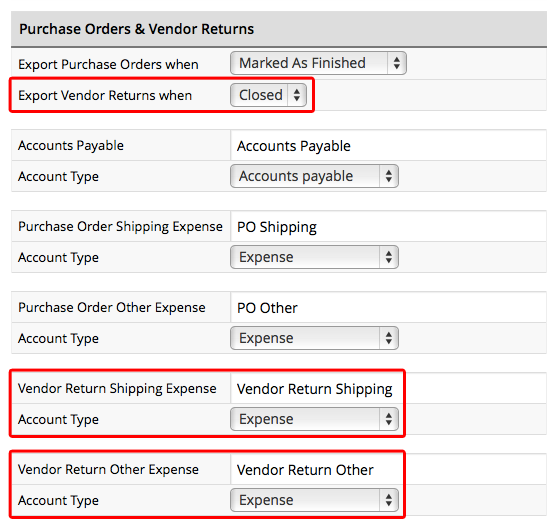 An exported Return to Vendor report includes cost values for each of the items returned and any shipping and other costs in your Return to Vendor orders. Return to Vendor data is available for open or closed orders as specified in your QuickBooks integration settings. For example, if the integration is set to allow exporting of data for closed orders, the cost data for currently open orders will not be available. NOTE: Data is available one day after the order is processed. Click here for how to generate and export a QuickBooks report.